Chops are one of my favourite comfort food – there’s this alluring and comforting feeling when I hear the chops (be it chicken, beef or pork) sizzling away in the frying pan or on top of a grill. Pair it with a creamy sauce like a mushroom sauce – a thousand times yes! 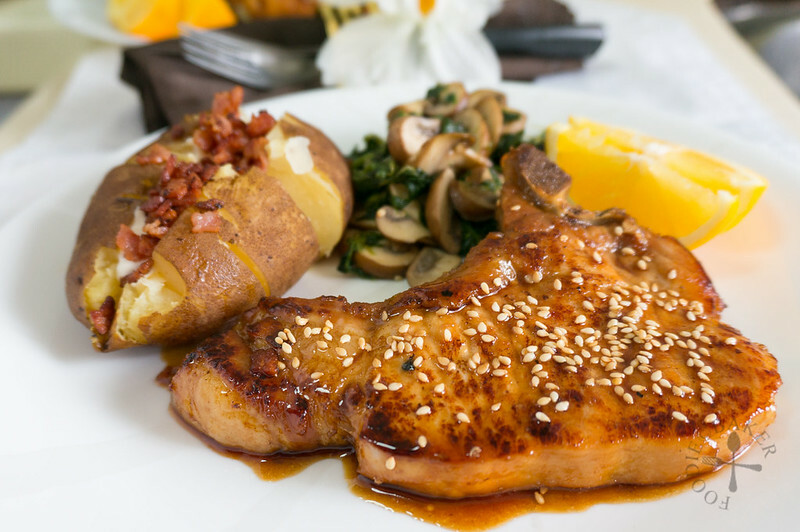 But today this pork chop does not have a creamy sauce – instead the sauce is a little sweet and sticky, like teriyaki sauce. And surprisingly, it goes really well with the pork chops (you see… I have this weird conception that teriyaki sauce is for chicken). What I also love about this recipe is that it uses minimal ingredients, but delivers a huge impact in terms of flavours. Even though this dish has a more Asian feel, the sides have a more Western feel – baked potatoes and a weird-tasting and odd-looking sautéed spinach. I had used frozen spinach and I think we need a little more time to get acquainted to each other. I’m sure rice and salad leaves will be nicer to pair with these chops. 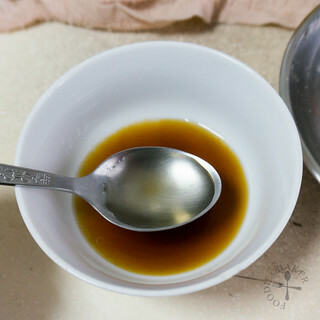 You can read more about mirin here in my post for Teriyaki Chicken, but for now, here’s how to make the pork chops! 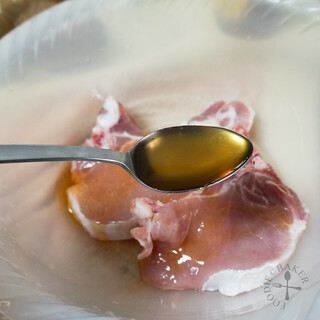 1) To marinate the pork chops, add in honey for some sweetness. 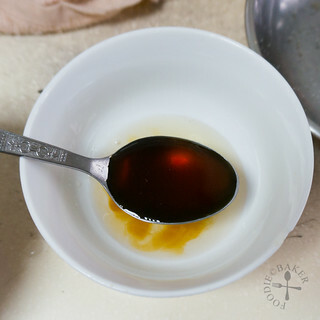 2) Some soy sauce to balance the sweetness. 3) Some cooking wine to help tenderize the meat. 4) And some black pepper for flavour. 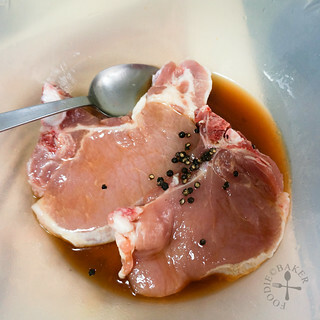 Marinate the pork chops for at least 1 hour or overnight. 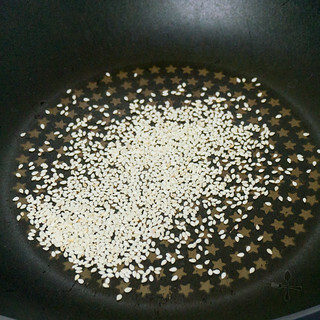 5) Toast the sesame seeds until golden brown. They are for garnishing later. 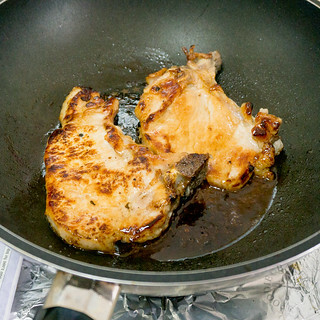 6) Remove the pork chops from the marinade and pan-fry until cooked. 9) And water together. 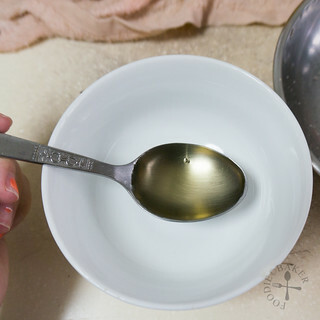 10) Pour in the sauce and boil until reduced by half. Coat the pork chops repeatedly until the sauce is thick and sticky. Rinse and pat dry pork chops. 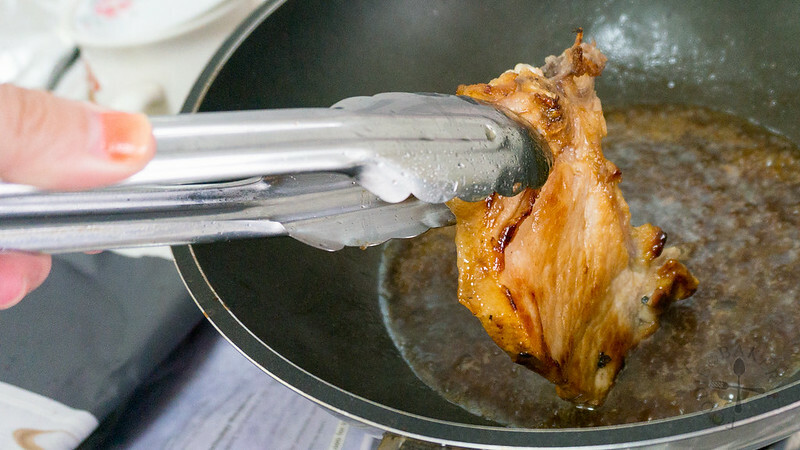 Pound the pork chops lightly with the back of a knife or a rolling pin. 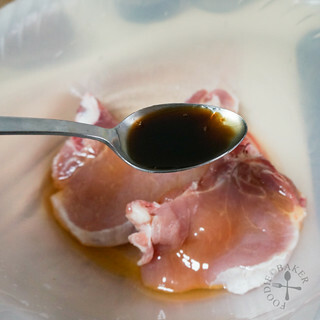 Marinade pork chops with honey, soy sauce, cooking wine abd black pepper for at least 1 hour, or overnight. Remove the pork chops and discard the marinade. Heat a frying pan over medium heat until hot. Add in a little oil and butter and when the butter has stopped foaming, add in the pork chops and cook for 1½ minutes on each side until well browned. 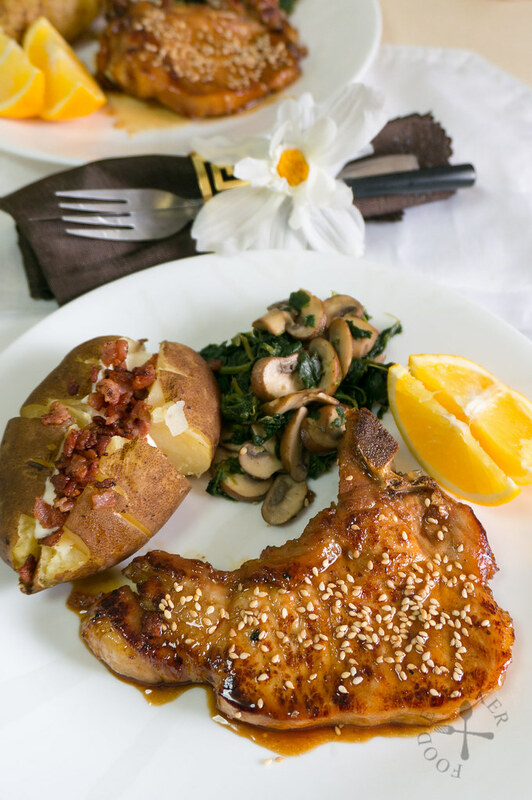 Remove the pork chops onto a plate and set aside. 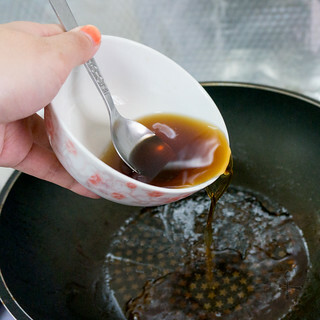 Using the same frying pan, add in the sauce ingredients - mirin, soy sauce and water. Boil until ½ of the sauce remains, scrapping the bottom of the pan to get all the flavours. Add in the pork chops and coat the pork chops repeatedly with the sauce (i.e. keep flipping it) for around 2 minutes until the sauce has thickened. 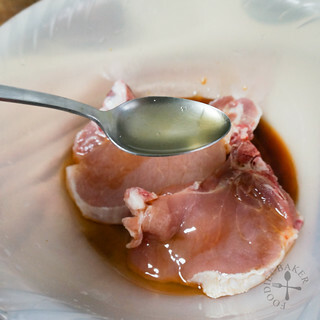 Transfer the pork chops onto a serving plate and drizzle the remaining sauce over them. chanced upon your blog while looking for some recipes. this looks awesome!! Oh, Jasline, this looks so delicious! I had never thought to use teriyaki on pork either but it must be fabulous. Your photography is stunning! Hi Robyn, thank you so much! I’m so happy that this sauce worked so well! Love this dish and it looks amazing! Makes me so hungry looking at it now at 1am in the morning, LOL. Will try your recipe! A delicious meal! Just drooling over your chops! And the spinach is not looking odd at all! Looks yum! Thanks for the tip Choi Yen! Will definitely try it out next time! This looks amazing! 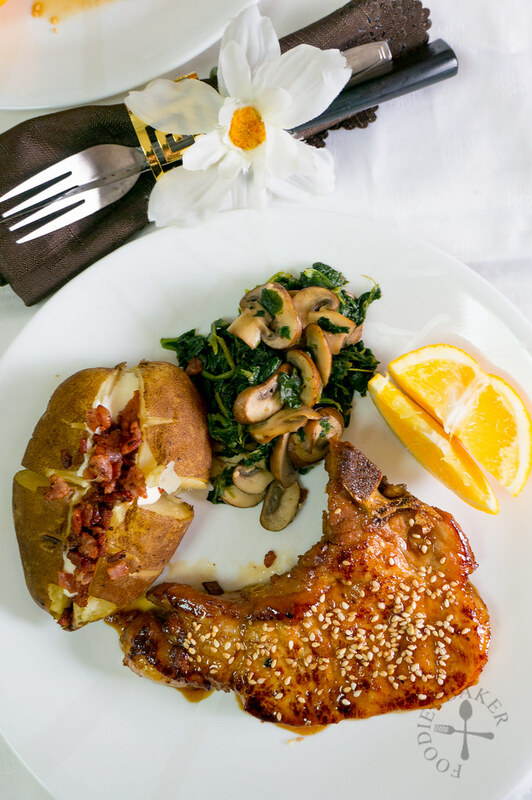 I have yet to make pork chops, but it is definitely on my to-do list! These pork chops look delicious!! Thanks Raymund! I can never reject a beer, brilliant idea! this would go down a treat with the Hungry Dad 🙂 Fab photos, too.